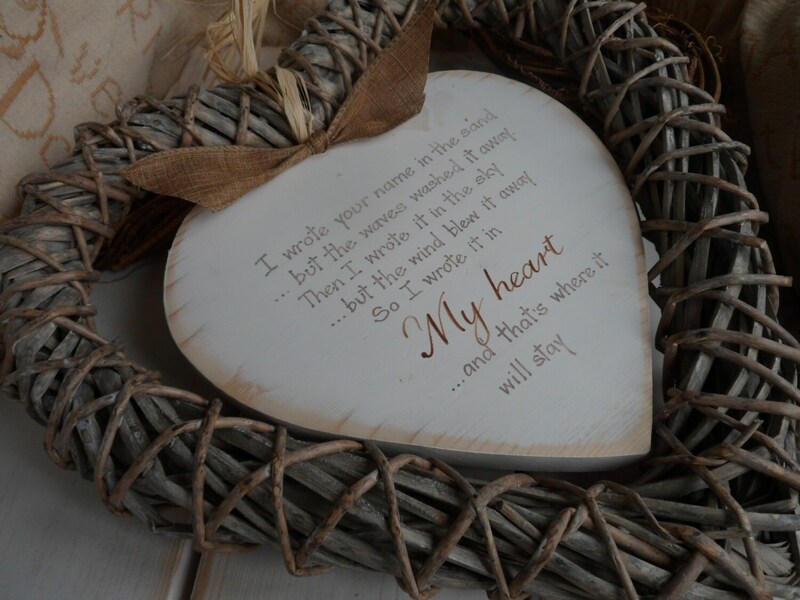 Our simple country shaped 22cm slate heart with a personal message.... looks fabulous on it's own or set inside a chunky 35cm hanging wicker surround. 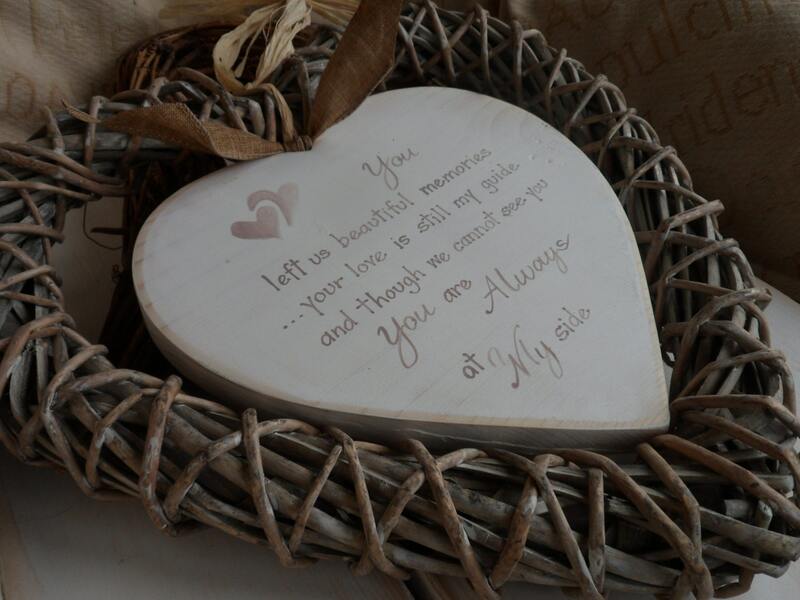 Hand cut and hand painted it is a beautiful keepsake to remember loved ones. This sign is a beautiful little reminder that although our loved ones have passed away, they are still with us every day. These make a wonderful gift for friends and family members who have lost someone they love. Every plaque is lovingly painted and sanded back to reveal some of the wood grain. 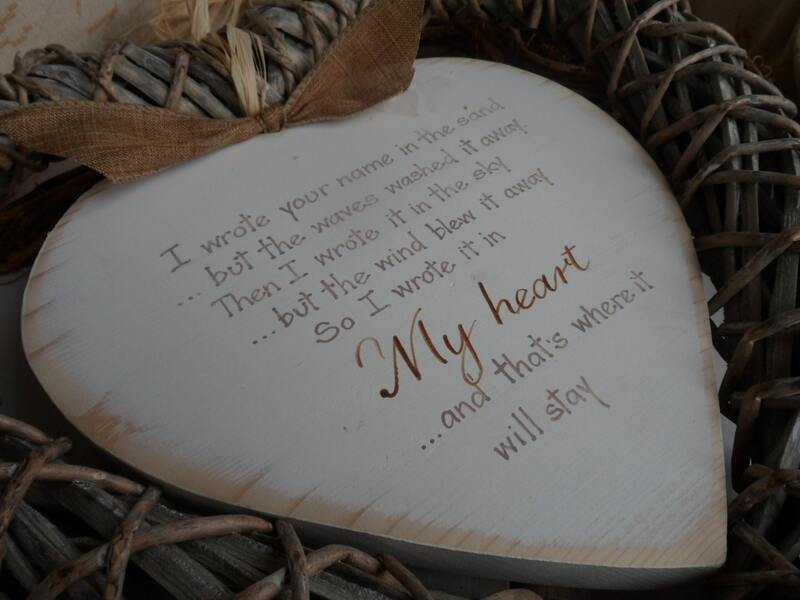 We hand paint our wooden plaques with the typography wording and quotes. 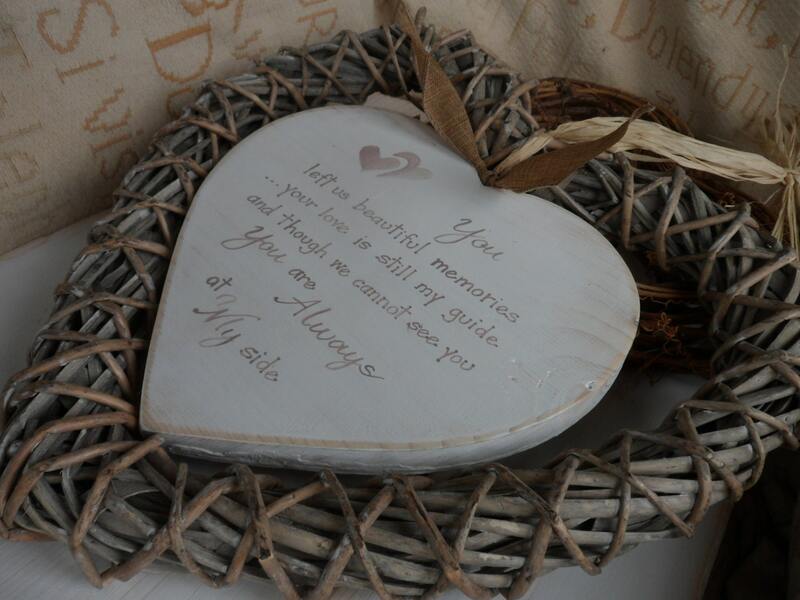 You can add the name of the person you are remembering on the shabby chic white or grey heart. All finished with ribbon and raffia. Absolutely amazing! Custom order exactly as requested, beautiful work. Would definitely purchase from this seller again! This was a gift for a friend who lost her mom to breast cancer. We haven't seen her in quite a while, but she really loved it. And the shipping was much faster than we expected.